A virus that was once seen only in man’s other best friend, dogs, has now jumped to cats for the first time in the United States. What does this mean for feline owners? Do you need to start worrying about your fuzzy friends or will you need a new vaccine? In the Midwest, the H3N2 dog flu was detected in multiple cats this year for the first time in the U.S. The flu’s presence in cats was discovered by the University of Wisconsin School of Veterinary Medicine. More specifically, the virus was found in cats who were in a local animal shelter. They were all placed under quarantine. This was the first time the dog flu had ever jumped to cats in the U.S. However, this may have already happened during an outbreak in South Korea. Is The Dog Flu Dangerous In Cats? So far, the dog flu doesn’t seem to be particularly dangerous in cats, although the sample size is understandably small. In fact, most dogs who catch the flu also have a mild case, although the virus has been known to cause death in some canines. Last year there was a significant outbreak of the H3N2 dog flu. More than 1,000 dogs in the Midwest tested positive for it and six dogs died. 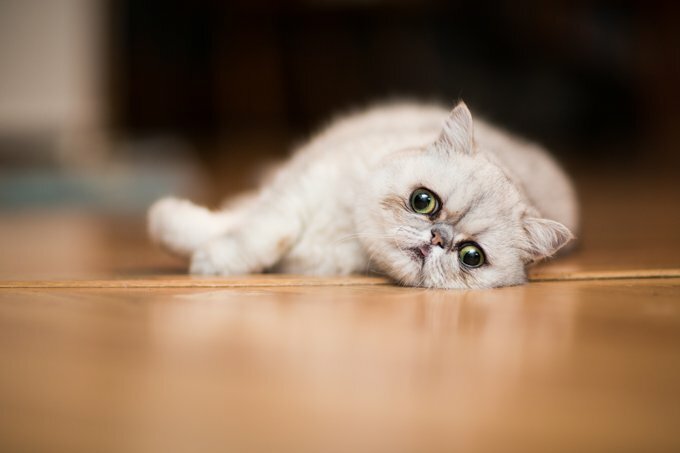 The flu is an upper respiratory virus, so look for those types of symptoms in your cats. These symptoms include a runny nose, congestion, and general fatigue. However, these can also be the signs of a different respiratory illness. Cats may also salivate excessively and smack their lips. 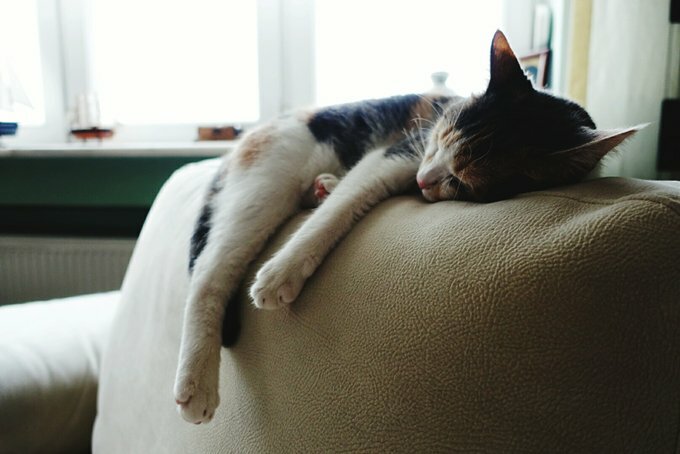 Vets recommend keeping cats who have this flu separate from other pets until symptoms diminish. Be careful to keep your hands washed and your clothes clean, so you can’t spread the virus to other pets that way. Of course, you wont know for sure that your cat has the virus unless you take her to the vet. A vaccine is available for dogs, but there isn’t a flu vaccine for cats. It’s helpful to know that cats can catch a different flu virus known as the Swine Flu. While the dog flu is H3N2, the swine flu is H1N1, according to PetMD. This virus can also spread to dogs, pigs, and ferrets, as well as people. The cases seen in the U.S. indicated the cats may have caught the “swine flu” from their owners, according to the AVMA. It’s still rare, however. Symptoms in cats include coughing, sneezing, lethargy, loss of appetite, fever, difficult breathing, runny eyes, and a runny nose. Some people use the phrase “cat flu” to refer to any number of respiratory viruses that cats could catch. 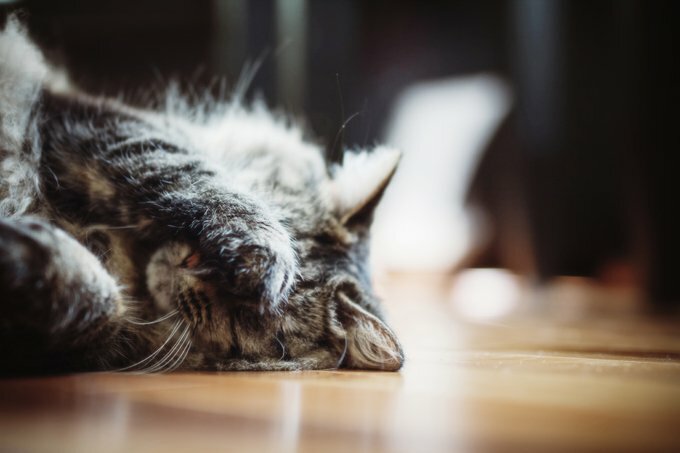 According to Blue Cross For Pets, the “cat flu” typically refers to one of two viruses: calicivirus and the feline herpes virus. Referring to these as the cat flu is more frequently seen in the UK. The calicivirus is typically milder and can include mouth ulcers in kittens. The herpes virus is more severe. However, several types of bacterial infections may also be called “the flu” in cats. One of these is bordetella bronchiseptica, which can cause kennel cough in dogs. The bottom line is that if your cat has symptoms of a respiratory virus, take her to the vet right away. You won’t be able to figure out on your own what she has because there are so many different possibilities. She may need medicine or antibiotics, depending on if she has a virus or infection.